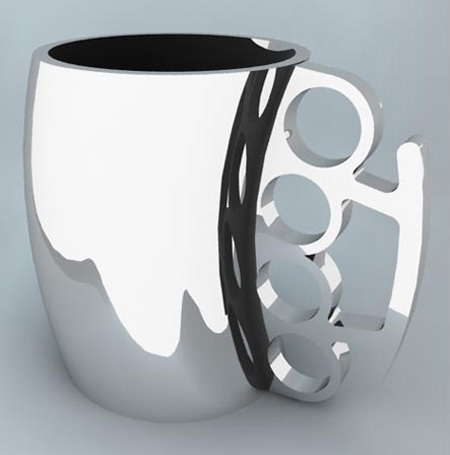 Collection of unusual knuckle shaped gadgets and creative product designs. Inspired by brass knuckles, this all natural glycerin soap is designed to add a bit of playful subversion to your soap dish. 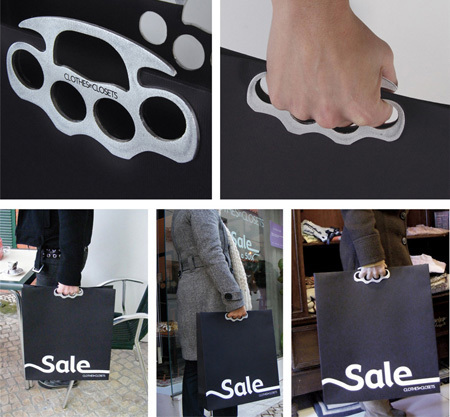 Unusual shopping bag designed by Leo Burnett Lisbon ad agency from Portugal. 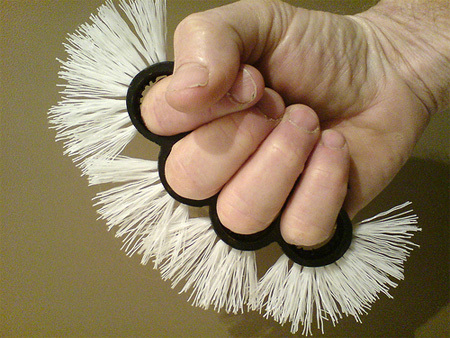 Creative knuckle brush design by Ken Goldman. 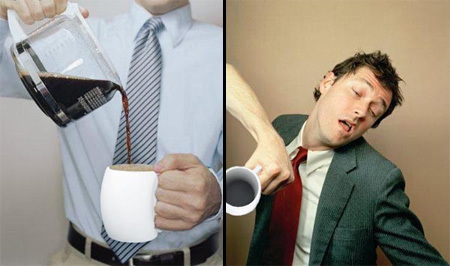 Punch coffee cup reminds you that you need a strong coffee and a good punch in the face to get going in the morning. Growing Jewelry is a redefinition of modern values. It is a clash of jewelry and gardening; couture and organism. 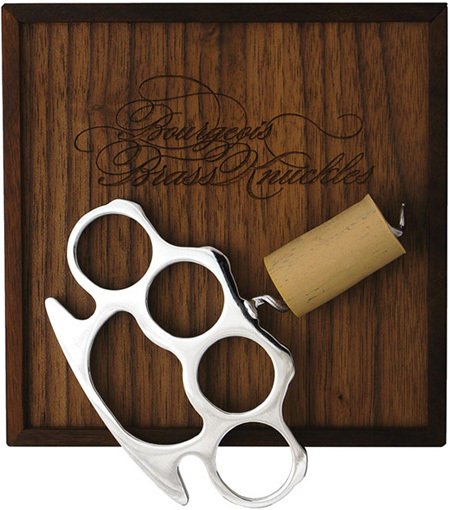 The Bourgeois Brass Knuckles are a cross between two iconic objects whose cultural and socio-economic associations lie at opposite ends of the spectrum from one another. 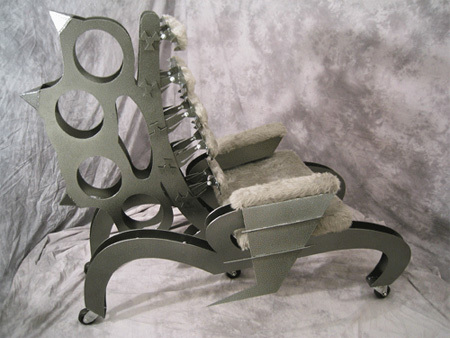 Metal art chair design inspired by brass knuckles. In an age when it is difficult to avoid terror take charge of the streets and look fashionable with a PeaceKeeper handbag. 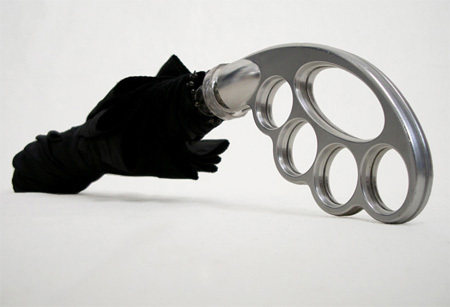 Umbuster is a creative umbrella with an ergonomically positioned knuckle duster handle configuration. 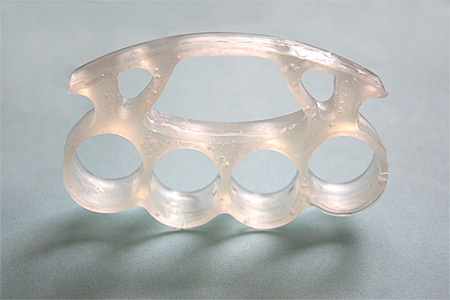 Knuckle Comb combines feminine delicacy with power that characterize modern women. 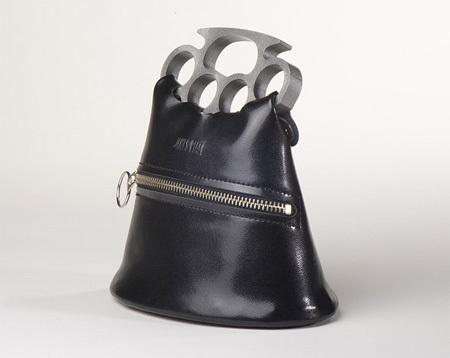 It is a gift-gadget, a hybrid of everyday use object – a comb with knuckle-duster. i was waiting for toxel to sum it all up! great job! 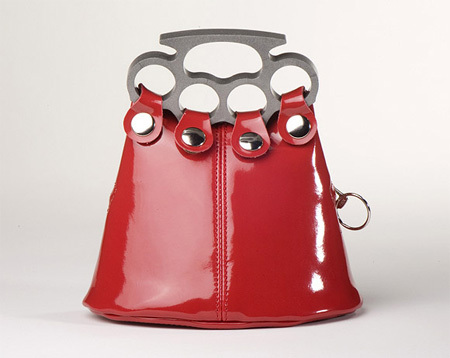 Don’t forget they are considered as weapons in many countries, so having brass knuckle shopping bag would be illegal or require a license. GFYM: I think you’re missing the point! Ignoring the suggestion of violence, it’s a very practical shape. I don’t think that a clothing store would put actual knuckles in their shopping bags GFYM, that would be rather expensive wouldn’t it? Who would have thought a weapon could be so stylish. the point is that if it’s used functionally it can’t be considered a weapon in the traditional sense. Hey that umbrella is a serious weapon dude! …nobody thought of grass knuckles? 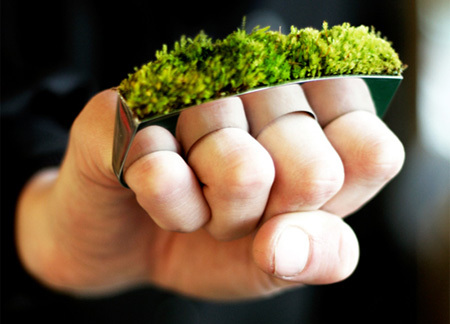 The grass is growing on the brass knuckles. Come on folks….I had much higher hopes for all of you. It would be more clever if these looked like brass imo, which is more of a goldish color than a stainless steel or chrome. i like the soap. not like you could do any real damage with them…other than to dirt that is! 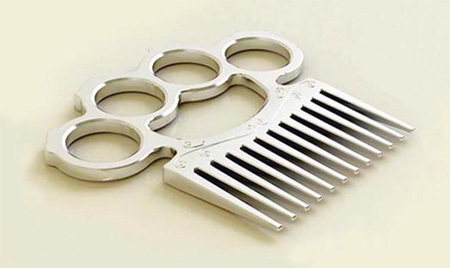 no one realizes that the brass knuckles comb is backwards? you’d be puncturing your hand to hold it correctly to punch! digging the the soap. looks real! 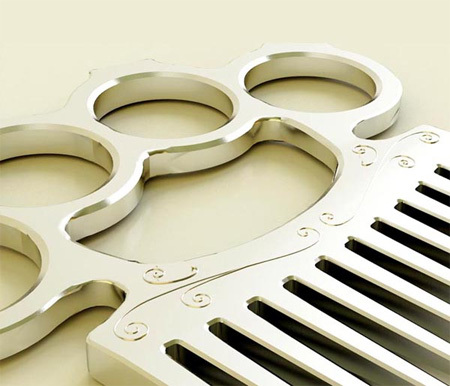 brass knuckle jewelry… I think I’ve seen everything now. Hey these are really cool. Hmmm… I wonder, where are these items from? I think they are legal depending on the country/state. everything is becoming brass knuckeled!! The comb is backwards (1st thing I noticed). haha. The chair is amazing, I’d really LOVE one of those! Nice on grass knuckles, didn’t think of that tbh.